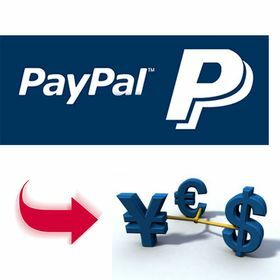 The PayPal Multi-Currency CS-Cart addon extends the PayPal Standard payments functionality, allows your customers to select which currency to pay for your products and adds the abilty to accept payments in multiple currencies when using PayPal Standard. However, when configuring PayPal Standard in the administration panel, you have the ability to set a SINGLE currency and in older versions (before v.4.3.5) this must be the same as your CS-Cart base currency. If your store's base currency or the configured PayPal Standard currency is USD and your customer selects EURO on your webpage, he/she will be confused at checkout. The reason is because on the PayPal site your user will be presented a price in USD instead of EURO, which may make you lose the sale from confusion. If you are using currencies not supported by PayPal (eg. : indian rupee - INR), the total order amount and currency sent to PayPal will be converted to the currency set up in the administration panel, PayPal payments. THIS CAN BE DIFFERENT FROM THE STORES'S BASE CURRENCY, YOU HAVE THE FREEDOM TO SELECT ANYTHING FROM THE ACCEPTED CURRENCIES! Note: This add-on is for PayPal Standard payments! For other PayPal payment methods (Express, Pro) please hit the Related products tab. Very useful addon. Thank you.